Did you know the State of Texas has an official photographer? I have had a love for photography and music since I was a small boy. When I ran across the site this evening for Mr. Meinzer, reading the information about him and watching his videos, I had to share with you. The following two videos featured below will reinforce the reason we live in the Great State of Texas. 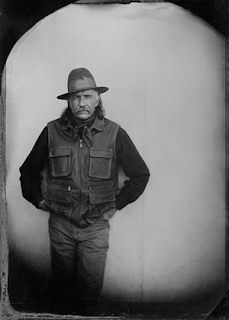 Wyman Meinzer is the only official State Photographer of Texas. He was raised on League Ranch, a 27,000-acre ranch in the rolling plains of Texas. Since then, he has traveled across the state many times to capture the first and last rays of sunlight as they kiss the Texas landscapes. Meinzer has a Bachelor of Science degree in Wildlife Management and was voted Outstanding Alumnus in 1987 by the department of Range and Wildlife Management at Texas Tech University. He also received the Distinguished Alumnus award in 1995 from the School of Agricultural Sciences and Natural Resources. In 2009 he received the Distinguished Alumnus award from Texas Tech University in recognition of outstanding achievement and dedicated service. ...read more here. Securing The Legacy from Wyman Meinzer on Vimeo. Wyman Meinzer's West Texas from Wyman Meinzer on Vimeo. Visit Wyman's website here for more information.